There is no football game more exciting than the Super Bowl, the match that pits the best AFC team against the best NFC in a battle for the NFL championship. THrilling last-second victories, curshing defeats, jaw-dropping touchdown catches-and misses!-the Super Bowl has it all. 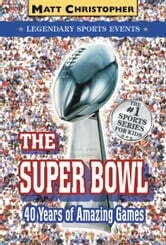 In this action-packed volume, young readers can relive forty years of Super Bowl history. It chronicles the rise of such dynasties as the San Francisco 49ers and the New England Patriots as well as the agony felt by the all-time loser, the Minnesota Vikings and the Buffalo Bills. Photos and quotes from superstar players bring the games to life. 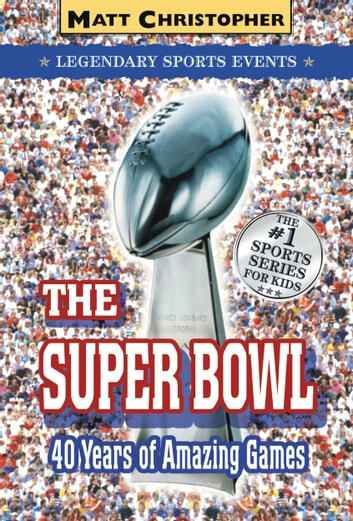 And with a complete list of all the Super Bowl results from I to XL, this book has everything a young football fan needs to know.